Here is the little update for September. Not big progress but we are still moving forward slowly and work do not stops. As I have mentioned already, the left frame rail was in a little bit better shape than the opposite side. 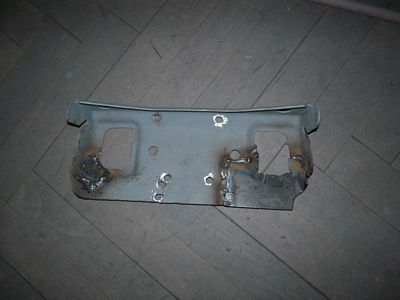 This piece was shaped and curved to accomodate power steering and the full replacement will be to difficult to make it from one piece brand new. I have decided to patch the middle part only. 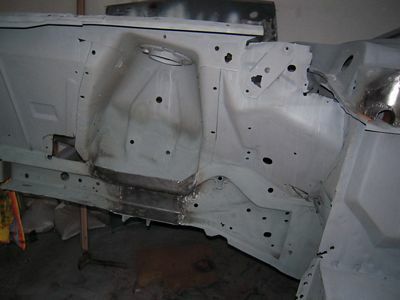 As usually the inner surface was fully sandblasted to remove all rust and dirt. Some small triangle patch . 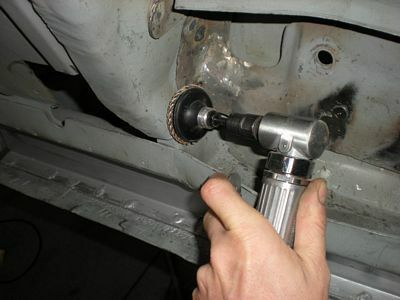 The power steering pump is connected to this part from the opposite side. 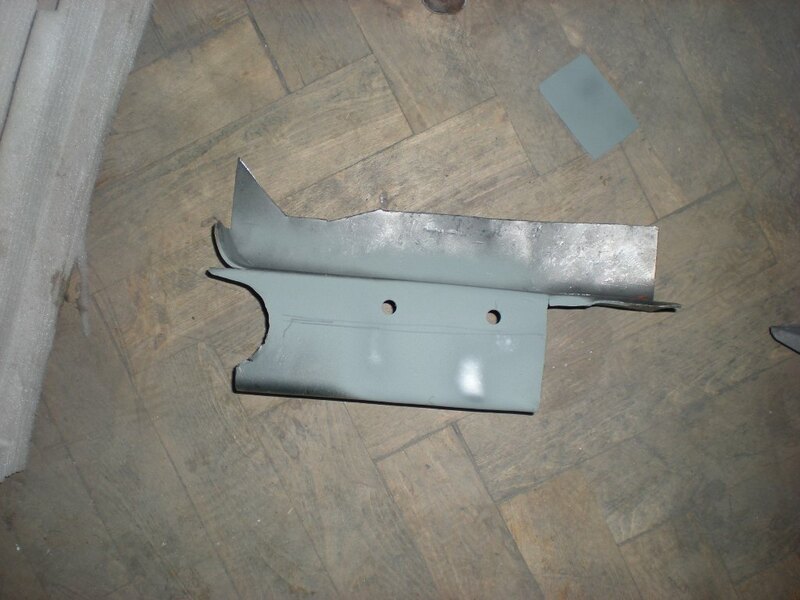 I have shaped the 2,5mm steel middle frame patch. I used a wooden template to properly fit the correct height. This is view of the fully repaired shock tower and middle frame rail patch. Anther view from opposite side. Left frame rail has inner reinforcement originally which end in the middle just under the shock tower. This was all gone and rust. I let fabricate inner reinforcement in full length of frame. On this picture its already welded in place. 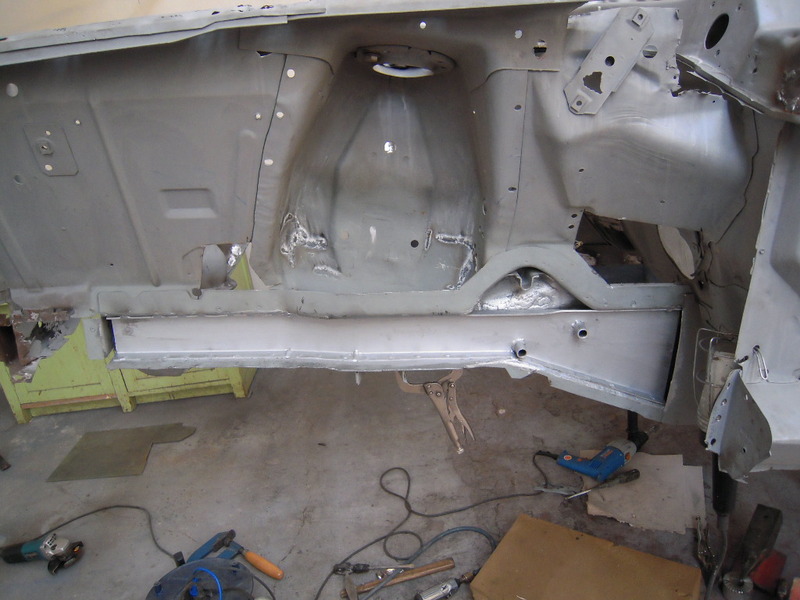 All surfaces are primed with rust protective paint . See tubes for power steering pump holding screws in place. Also on this side I need to patch and form the shock tower reinforcement. 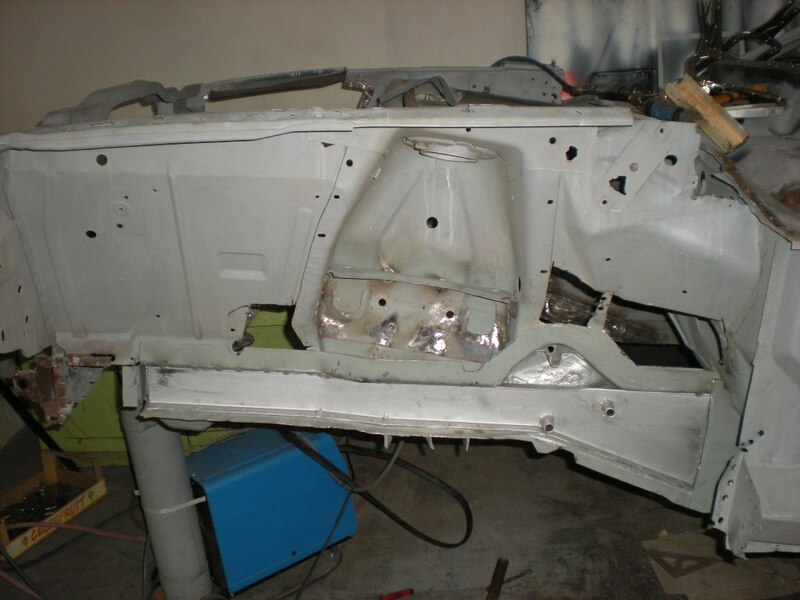 And welded in place. Now I have measured the dimension of outer frame cover and let local company to cut it. As they have laser and plasma cutters and all equipemet for heavy gauge steel forming, they do it in easily and in much better quality than I would ever achieve myself. I discover an useful tool for weld grinding - a mini flap disc on small angle grinder It is very useful for smoothing the welds in tight places. 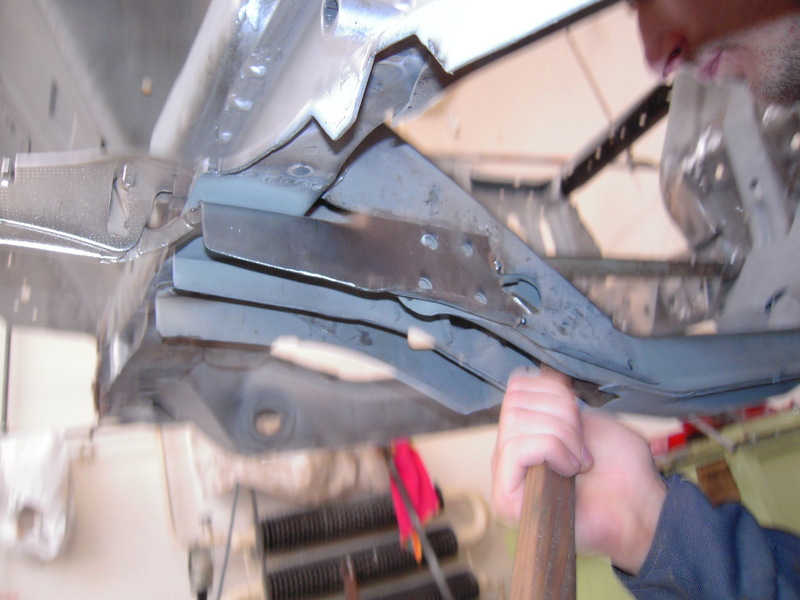 The engine crossmember was rusted on this side. The water inside two metals makes about 5 mm thick rust mess. 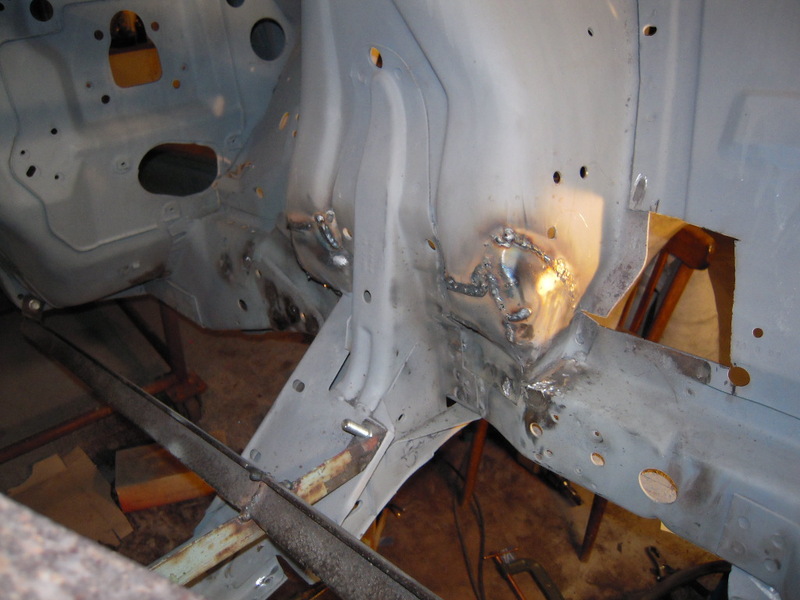 I have drilled the spot welds and bend out the steels. Clean it inside. 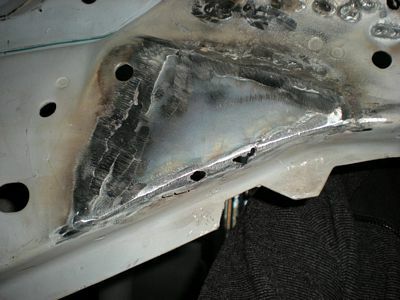 And weld back together with some patch repairs where needed. That's all for now. Stay tuned for next updates - Cowl panel repair.